What Kind of Furnace Filter Should You Be Using? Navigating the world of furnace filters can be confusing, especially if you’re not sure what the difference is between the filters available. There’s no shame in not knowing the difference though, that’s why we’re here! In this blog, we’ll break it down for you and give you the tools to choose the best one for your home – because not every filter will be a good fit! First thing’s first: let’s look at the types of filters that are most common on the market. 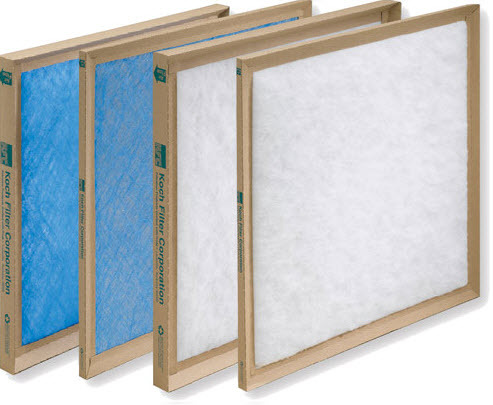 Standard disposable filters are the most common and cheapest types of furnace filters available. They are typically about $2 each, are made of fiberglass material, and allow plenty of air to pass through them. Unfortunately, this also means that they allow plenty of dust, debris, and allergens to pass through them as well. While these types of filters are better than no filter at all, we don’t typically recommend them. You can find pleated filters at the grocery store, Costco, and most HVAC companies in the city. These filters can range in cost from $10-$80 depending on the size and MERV rating. These filters are typically thicker than the standard disposable filters, but still allow plenty of air flow to pass through them to keep your furnace functioning properly. Because they are thicker, they catch significantly more dust and debris. While you may be limited in terms of how large of a filter you can install based on your existing filter rack, we typically encourage a 4″ wide filter, as they are balanced in their ability to trap dust and allergens, while still allowing enough air to pass through them. MERV ratings, or Minimum Efficiency Reporting Values on furnace filters will range from 1 to 16. 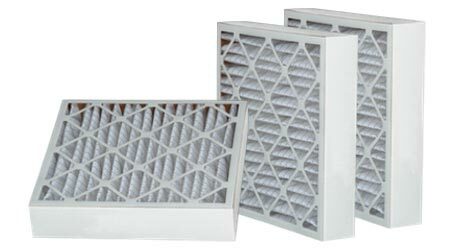 The higher the MERV rating, the more efficient the furnace filter will be at trapping airborne particles like dust, pollen, construction debris, etc. While they are a bit more expensive, we recommend purchasing a filter with a minimum MERV rating of 8. Electronic filters are quite a bit more expensive, but do not require replacement. 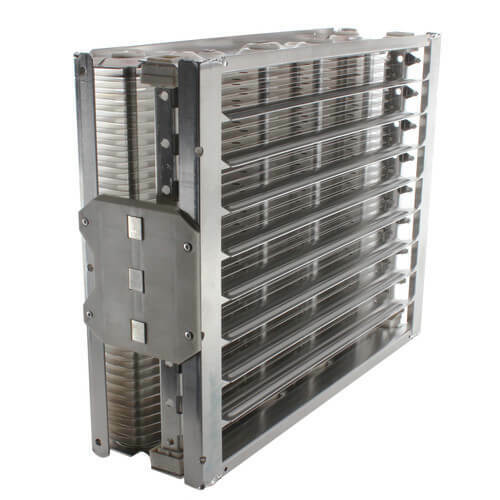 Rather, electronic filters require regular cleaning and maintenance to ensure they stay in good condition and continue to filter out dust as air passes through the furnace cavity. We do not recommend electronic filters due to the labor-intensive maintenance required to keep them in good working condition. If you’re looking to spend a bit more money to increase the air quality in your home, we would recommend installing an air cleaner as opposed to an electronic filter. 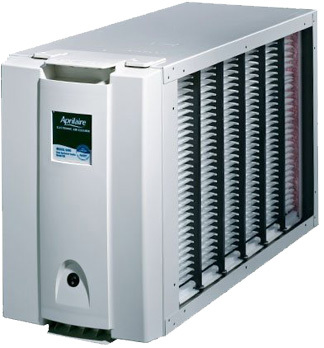 These units are relatively low maintenance, as they only require you to change the filter once per year on average. Air cleaners typically have a higher MERV rating, and work with your furnace fan to filter out dust and allergens from your home. While any furnace filter is better than no filter at all, we do recommend you invest a little bit more money into your filters to improve your home’s indoor air quality. An efficient filter will not only last longer, but it will do a better job at preventing dust and allergens from cycling through your system, potentially causing damage to your furnace. You can check out the filters page of our website to learn more about the different types of filters we supply and install in the Edmonton area. Contact Acclaimed! for all of your indoor air quality needs, and let us help be part of your home comfort solution!